Most prospective students, professionals, journalists, and recruiters taking a look at our program have a lot of questions about what makes it different. They want to know who it attracts, what the curriculum and experience are like, and what our students do after they graduate. So we put together a list of the program's 14 key ingredients. 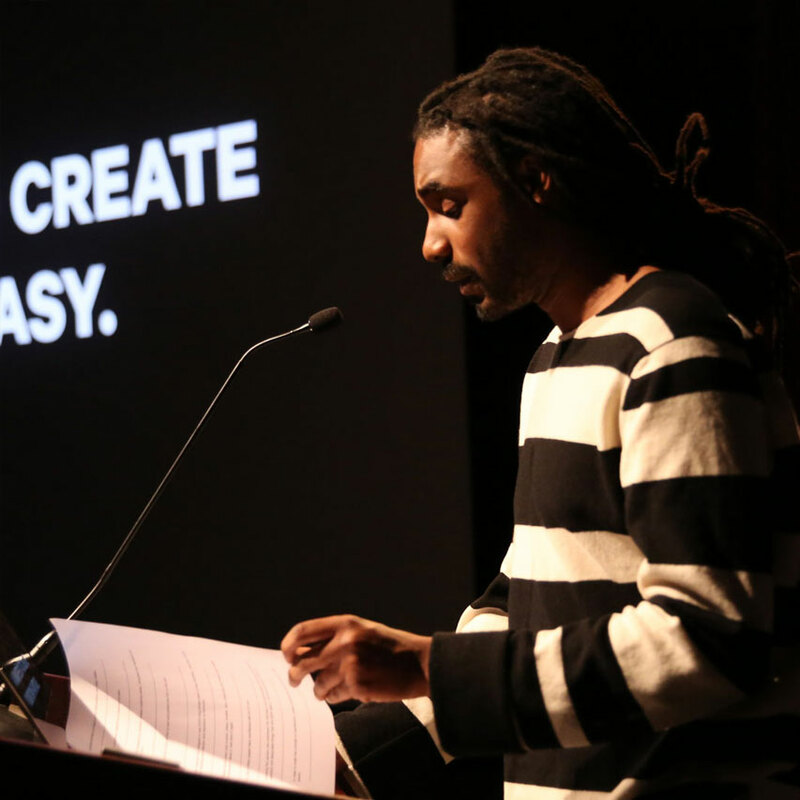 Wondering if the MFA in Products of Design program might be right for you? Read on! 1. We start with the hard part, and we get messy right away. The Products of Design curriculum begins with the complex and the challenging on day one. We start with systems, mapping, supply chain, stewardship, services and platform thinking. We reframe problems, create brands, mock up media campaigns and press releases, model businesses, build physical prototypes, solder up circuits, share code in online platforms, and practice design research with local subjects and expert mentors. And we do all of this in the first 7 weeks. 2. 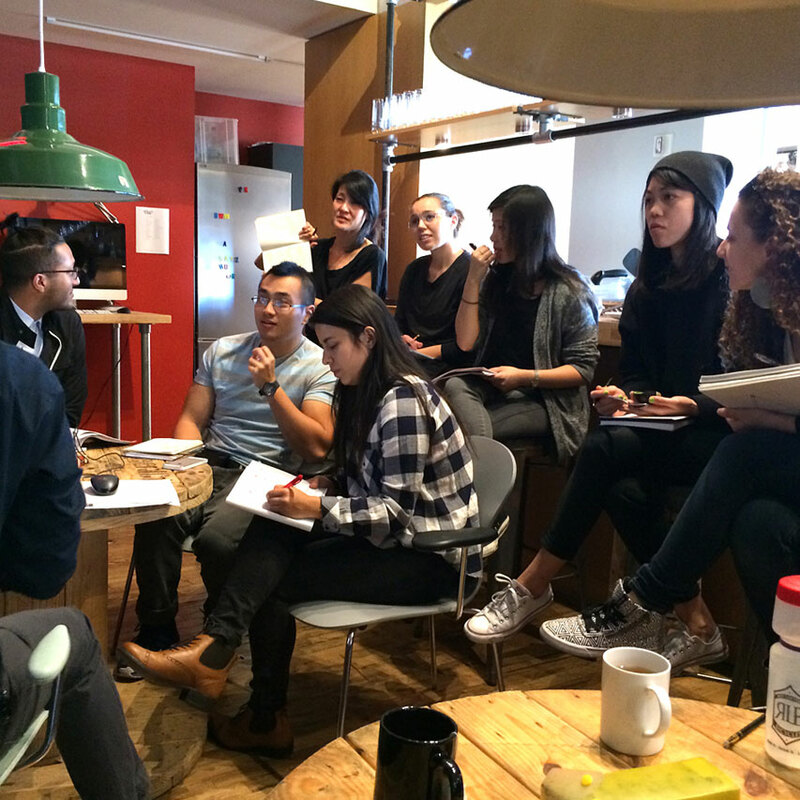 We use New York's rich design industry as a learning lab. Our students take classes in design research at IDEO, business design at Frog, material futures at Material ConneXion, user experience at Frog, systems analysis at SYPartners, and Branding at Aruliden. They attend workshops and meet with the leadership at ground-breaking organizations from Google Creative Labs, Cooper-Hewitt and Etsy, to Uhuru, Makerbot, Autodesk, and the New York Times. 3. Our students are job-ready and enterprise-ready. From consistent and rigorous portfolio preparation to careful résumé building, interview training, and public speaking skills, our students are mentored by professionals, consultants, and recruiters in the industry. We prepare our students for Design:Match an annual job fair that attracts over 40 leading organizations in the world. Students emerge with a considered strategy for building a career at an agency, consultancy, non-profit or entrepreneurial pursuit. 4. Our faculty are professionals at the top of their game. Our faculty list reads like a who’s who of Design Industry champions. From MoMA curator Paola Antonelli to Antenna Design's Masamichi Udagawa, our faculty are experts in their field, deeply involved in local and international design worlds. They are encouraged to bring their unique perspective to the program so that students can learn the passion and point of view required for making a difference. 5. Our students are celebrated and hired. Our students are out on the street. They exhibit their work at festivals attended by thousands, receive wide recognition in the press while in school, and are snapped up during the summers and when they graduate. 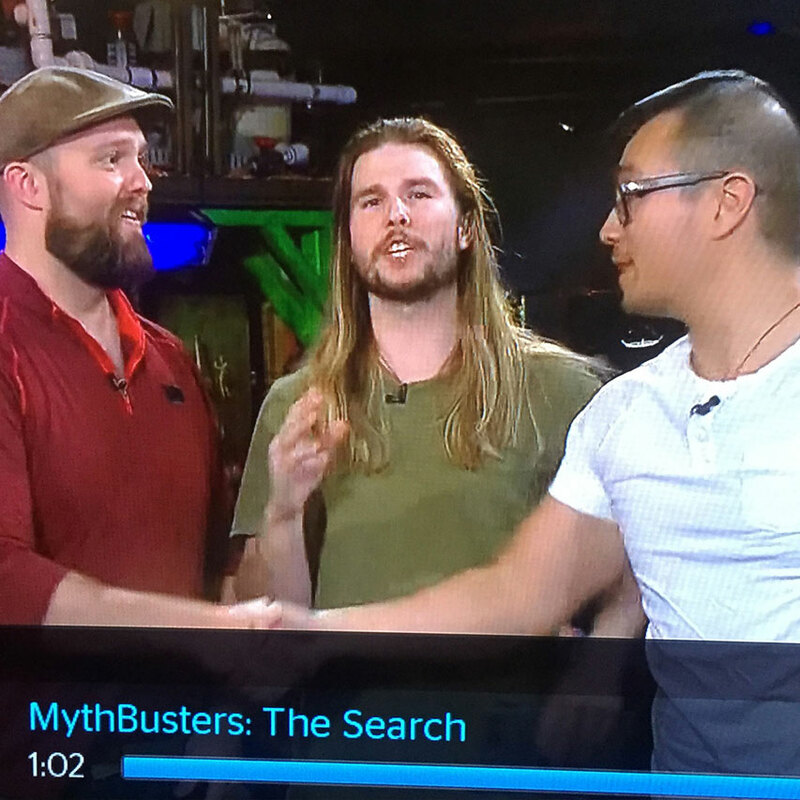 The even win hosting roles on Mythbusters! 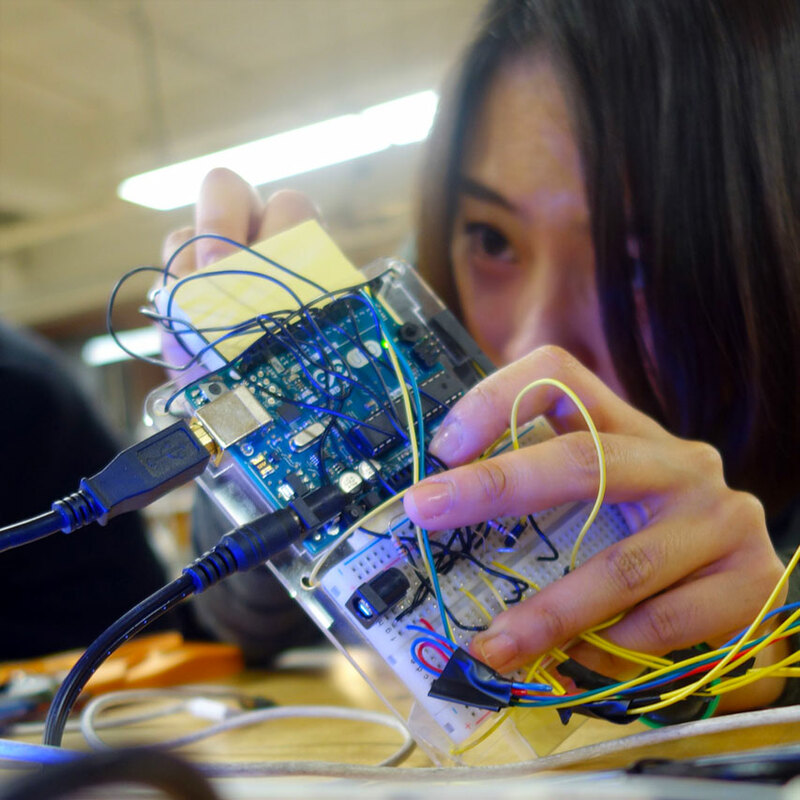 We have alumni at Frog, Pentagram, SYPartners, The Future Project, PSFK, Collins, Arup, and IBMDesign, and summer internships at IDEO, MakerBot, LittleBits, Doblin and Lippincott. Students also fund projects on Kickstarter and launch their own studios and enterprises. 6. Our network is broad and our partners are mighty. Students are schooled in the importance of social capital, how to work with the media, and how to build and communicate a body of work. We introduce them to journalists, social innovators, venture capitalists, recruiters, consultants, and myriad entrepreneurs. 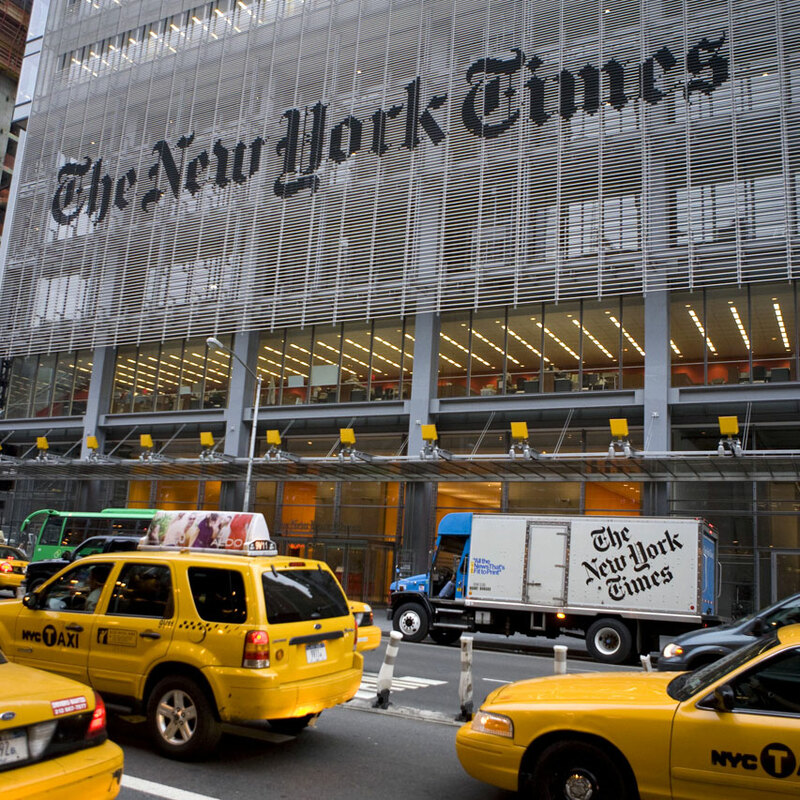 We work with some of the most powerful and respected brands in the world in including the Museum of Modern Art and Omidyar Network. As a result, students emerge from the program with a powerful network of contacts for work referrals, career advice, professional development and mentorship. 7. Our guest Lecturers are world-renowned. From Tina "SwissMiss" Roth Eisenberg, Michael Bierut, and Nate Silver, to Neri Oxman, Anthony Dunne, Aimee Mullins, Ezio Manzini, Panthea Lee, Tim Brown, Elizabeth Scharpf, and Cameron Tonkinwise, the Products of Design department hosts the leading thinkers and practitioners on the globe. 8. Our studio is bright, responsive, and built for creating. We know the environment affects the work, so we drench students in natural light and customizable space. Quiet spaces, social spaces, and an enormous kitchen allow students to feel at home and stay healthy while they work. 9. Our Theses evidence the multiple "products of design." From projects that Reimagine Time or explore a Contemporary Design of Assisted Suicide, to Designing Engagement With the Incarcerated or Amplifying the Female Voices in Tech Discourse—from Countering the Obsolescence of Disposable Furniture to Harnessing Movement Toward Ambient Energy our Masters Thesis Projects are multi-disciplinary and multi-modal. Students instantiate their thesis through a deliberate set of design lenses—from white papers, social enterprises, and branded objects, to interaction designs, experience designs, service blueprints, business models and speculative futures. And then students present them publicly in the SVA Theatre. 10. Every student is unique. 11. We don't have grades. Part of the challenge in education is what we choose to measure. Graduate school is a time to take big risks, and worrying about grades can inhibit bravery. Our classes are pass/fail so students can feel comfortable to fail forward in their work without worrying about failing backward in the class. That said, we insist on rigorous, prescriptive protocols for documentation of student work—from process and final image sets to press- and competition-ready project descriptions. Our students start building their portfolios the first week. 12. We prototype in one of New York's best shops. The Visible Futures Lab, SVA’s digital and hands-on fabrication fantasy land, is located immediately next door to the Products of Design studio, so students are steps away from a state-of-the-art makerspace, an expert staff, and a huge community of graduate students from other departments at SVA. We believe that designers are the connective tissue of the built environment—both physical and digital—and we push the particular fluencies that are critical to forming successful designers: Graphic design, product, service, interaction, experience, and speculative design. Students learn the languages of business, leadership, sustainability, branding, supply chain, labor practices, intellectual property, and team building. When they leave, they are capable and powerful liaisons—able to speak to and translate between multiple stakeholders. 14. We place moral compass, empathy, and generosity over all other design skills. We ask our students and ourselves, “How do we want to spend our creative lives?” Our students spend countless hours cultivating their ethical beliefs and challenging their assumptions about the world. We teach the importance of consequence, bravery, leadership and stewardship in their design work and their design lives. Our students emerge confident, ready to navigate dichotomies and complexities, and eager to make an impact. Sound good to you so far? Hit our Apply Page!